Blood Moon, Lunar Eclipse, April 4, 2015. 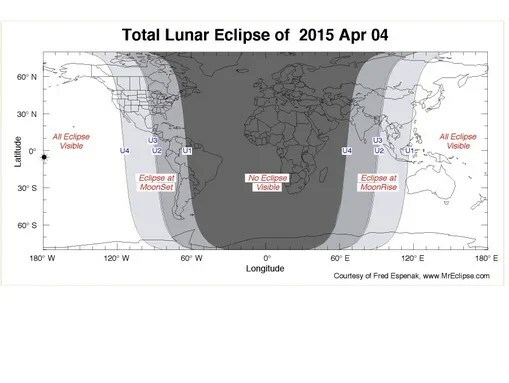 Get ready for one awesome total lunar eclipse early Saturday morning April 4th. For the third time in less than a year, the Moon dips into Earth’s shadow, its dazzling white globe turning sunset red right before your eyes. All eclipses are not-to-miss events, but Saturday’s totality will be the shortest in a century. Brief but beautiful – just like life.